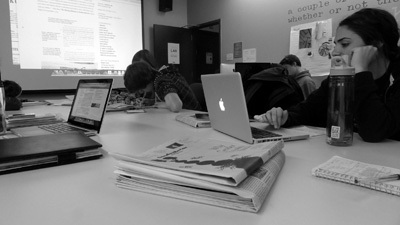 Writing, Rhetoric & Discourse has piloted the use of Personal Laptop Required courses at DePaul. Using laptops is a good fit in First Year Writing and Professional Writing courses, given our emphases on text production, collaboration, and the integration of digital literacies. Some instructors envision a “writing studio” approach, where they are able to work alongside students as they plan, draft, and revise their work; other instructors emphasize the collaborative group-work possibilities such as file sharing and peer reviews using shared documents. 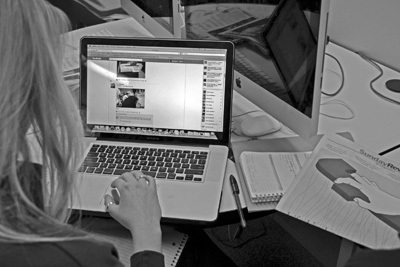 First Year Writing instructors have also noted the increased interactivity in their writing courses due to the presence of computer technologies and wireless capabilities, noting that students are more actively engaged in problem solving, writing, and sharing their writing in an environment where the technology actively supports those activities.